Below you can view all the homes for sale in the Centennial Park subdivision located in North Las Vegas Nevada. Listings in Centennial Park are updated daily from data we receive from the Las Vegas multiple listing service. To learn more about any of these homes or to receive custom notifications when a new property is listed for sale in Centennial Park, give us a call at 702-323-5951. Fresh Paint Throughout, Brand New Kitchen Cabinet, New Granite Countertops with under Mount Sink with Pull Down Faucet, Brand New Stainless Refrigerator, Gas Stove, Microwave and Dishwasher. Must See! 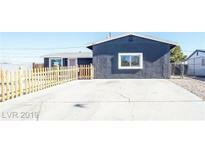 MLS#2073233. Jason's Realty. Home comes with a 30-day buyback guarantee. Terms and conditions apply. MLS#2064316. Opendoor Brokerage LLC. A must see and you won't be disappointed! This will not last long! MLS#2056180. Go Global Realty. The second and third bedrooms are vey spacious. No HOA ! Will not last ! 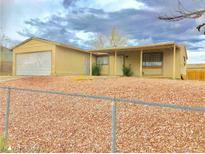 MLS#1948599. Source Realty. These statistics are updated daily from the Greater Las Vegas Association of Realtors Multiple Listing Service. For further analysis or to obtain statistics not shown below please call EasyStreet Realty at 702-323-5951 and speak with one of our real estate consultants.